The Crystal Palace was “the most remarkable work of its kind the world has ever witnessed, appealing to appreciation of the wonderful with a force unknown in this country, and unrivalled in any other,” noted Bradshaw’s guide to London. Officially opened by Queen Victoria in Penge Park, next to Sydenham Hill, in 1854 the cast-iron and plate-gate building was a lavish exhibition and entertainment venue. It had originally been erected in Hyde Park to house the Great Exhibition three years earlier, when 14,000 from around the world has flocked to see the Industrial Revolution’s latest innovations. Sadly the Crystal Palace was wiped out in 1936 in a fire that was so large the glow could be seen in eight counties. Winston Churchill, one of 10,000 people on Sydenham Hill watching the blaze, said: “This is the end of an age.” While the site remained opened to the public and considerable sums have been invested in the park and sporting facilities over the years, it has never seen the glitz and glamour that Victorian and Edwardian visitors experienced. With Bradshaw’s 1862 guide in one hand and ZhongRong’s brochure in the other, I set out to find out what traces remained of the popular Victorian attraction. And like many visitors in the 19th century, I arrived by train. Just as the good transport links are highlighted in ZhongRong’s plan, Bradshaw noted that the “The noble site, the unrivalled view the splendid gardens and fountains will spread their attractions in vain on the heights of Penge unless the bulk of people can get there as quickly, cheaply and as they can get up and down the river.” The guide was therefore impressed that the railway line was extended to reach the site. 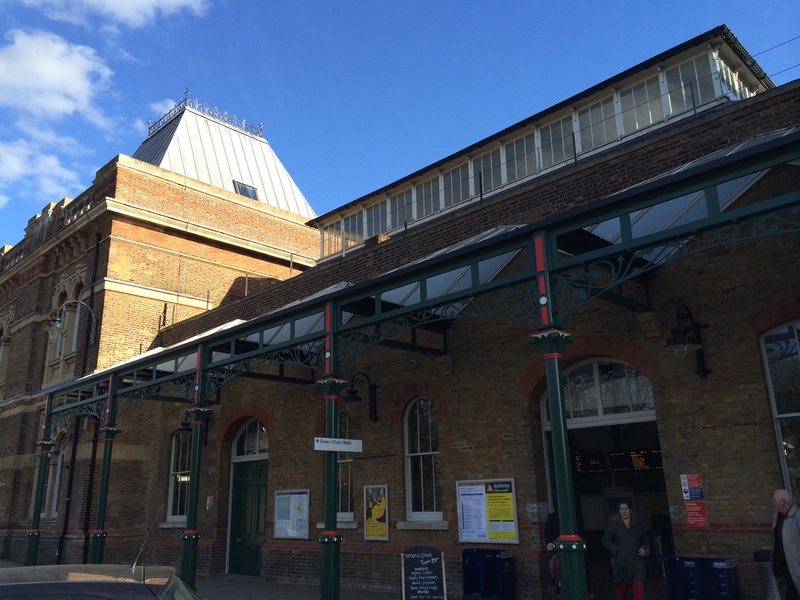 Arriving at Crystal Palace railway station (a grand building dating from 1876 to replace a much simpler 1854 structure), I made my way up a slight incline in the direction of the site where the Palace once stood. In Bradshaw’s day visitors would have walked from trains along a “covered way into the South Wing”, but I made my way across a muddy patch of grass and after dodging stray footballs was soon at the top of the hill. When it opened, Bradshaw said the Palace covered a space of 20 acres and was from end to end 1,608 feet – forty times bigger than the Medieval Westminster Hall, then the largest hall in England. Providing a general overview of the attraction for visitors, Bradshaw notes that “one half is devoted to ancient art, architecture, and sculpture, and that the other half, that facing the garden is appropriated to all the various forms of modern art, architecture, inventions, improvements, and manufacturers, together with a well-arranged Picture Gallery, which now contains nearly 1,000 pictures by ancient and modern artists.” Over the course of several pages he then describes the exhibits in each room and some of the lavish entertainment provided for visitors. Unfortunately there’s nothing left of the Palace itself (some of the original footprint is grassed, part is covered with dense bushes and there is also the towering BBC transmitter, built in the 1950s). But thankfully some of the 19th century outdoor features are still visible today, not least the two-tiered Italian Terrace where visitors can be seen in photographs promenading in their best outfits. This separated the pavilion from sunken gardens and provided magnificent views across London. The stone-built Terrace extended along the whole base of the front of the Palace and, as it survives in its entirety, vividly illustrates just how enormous the building was. Other parts of the site (which Bradshaw notes extended to 289 acres and had nearly two miles of drives for carriages) have, however, been disrupted by new buildings constructed following the 1936 fire. The National Sports Centre, which includes an athletics stadium, was built in the 1960s and dominates the centre of the park. It was built in what were once the main fountain bases of Paxton’s water works. Bradshaw goes into great detail about the fountains in the grounds, noting that “the whole park and garden resonant with the tumultuous murmurings of water a volume of water estimated to be only one-six less that discharged by the might cataracts of Niagara. The extent of the ground in which these fountains are displayed is ingeniously made to appear greater than it really is, by the skilful mode in which it has been treated.” One of Paxton’s great series of fountains survives near the Crystal Palace Park Farm, buried in dense undergrowth and it is hoped it will one day be restored to working condition. There are a number of lakes which were recorded by Bradshaw that are still being used today. One, popular with fishermen, originally supported Paxton’s fountain system and featured an engine house with steam boilers and pumps. On the other side of the park is the bigger boating lake (in Bradshaw’s day it was known as the tidal lake because 11,788 individual jets of water helped push the water level up by nearly five feet). 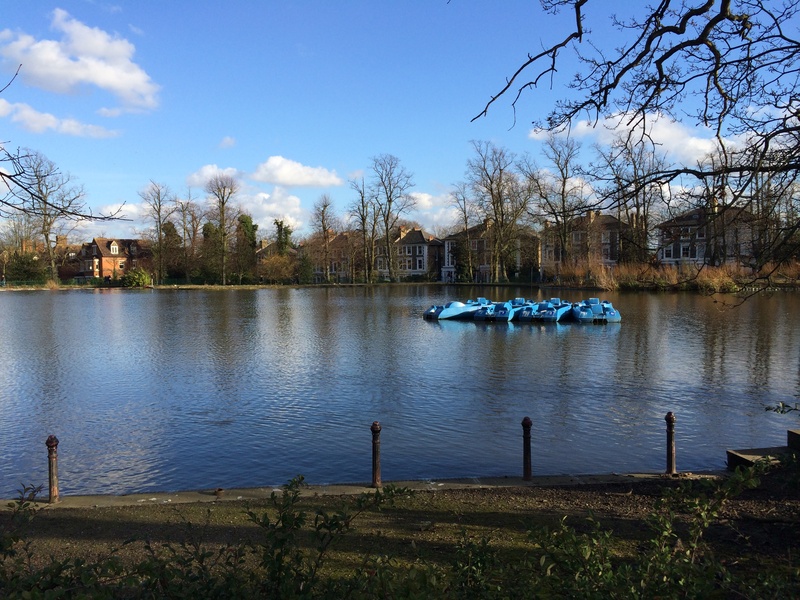 Popular in the summer months with people hiring pedalos, it is surrounded by a model collection of prehistoric creatures – popular with visitors in both Victorian times and now. Children visiting the park today have lots of activities to keep them amused. As well as modern play equipment, the small farm and plenty of space to kick around a football there’s a maze originally constructed in 1879 to get lost in – the largest in London (and one of the biggest in the country). While there are plenty of positive things to say about the park, if Bradshaw’s authors visited today they would be disappointed by the catering on offer. Visitors have to make do with a distinctly average café serving burgers and bad coffees in polystyrene packaging, while Victorians enjoyed much finer fare. Inside the Palace, the Saloon for example was said to be “richly carpeted and decorated, and fitted with every elegant convenience” and served a wide range of hot dinners including soups fish and entrées. It was one of many places on the site where guests could be wined and dined, another, The Coffee Room, could host banquets for 500 guests. Before heading back to the station, I pop into the Crystal Palace museum, housed in a building originally used by the Crystal Palace Company’s School of Practical Engineering. The displays describe the original site in Hyde Park, the building’s relocation to South East London, the heyday at the complex and the devastating fire. 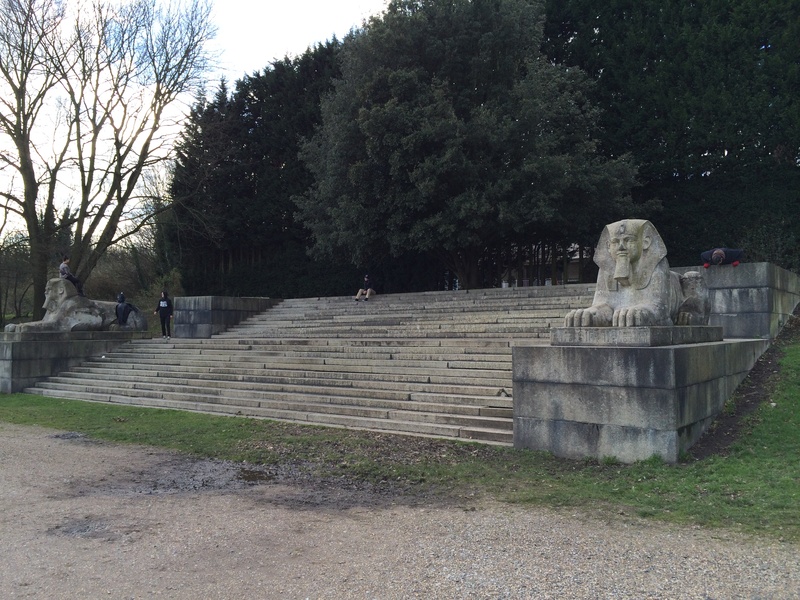 If ZhongRong’s plans are approved, it could one day also be telling the story of how a replica Crystal Palace and the restoration of original Victorian features in the gardens transformed the site. But what is the author’s opinion on the proposed rebuilding of the Crystal Palace? Should a major venue be built in what is increasingly valuable open space in London? Would local residents not prefer to keep their relaxed park, bad coffee and all? And if it is to be rebuilt, what should it house? Will we be treated to another collection of dull chain restaurants and an all bar one? Or would it be the local area’s crowning glory once more? That is indeed a very good question. 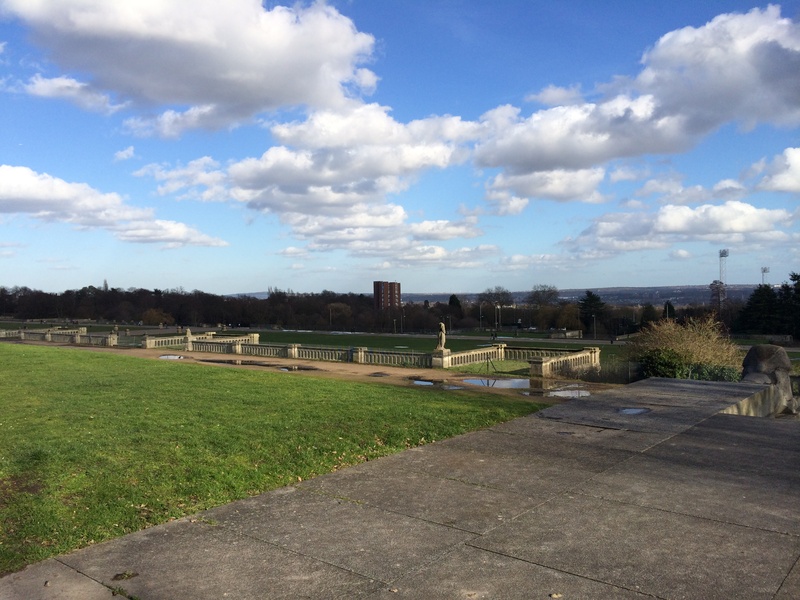 There are two considerations here which need to be very carefully balanced – that of building a structure that follows the look / ethos of the original Crystal Palace, while at the same time being sensitive to the needs of local residents. It is currently a lovely park, so I wouldn’t want to spoil that. But at the same time it would be great to re-build the Crystal Palace. In deciding what to put in it I’d go back to contemporary accounts to understand what role it played in society and how it was used. I’d love a permanent exhibtion that truly celebrates Britain and also plenty of space to host major entertainment events. But before any feature is added, however, it would be important to consider what impact it would have on the enjoyment of the park by local residents. Enjoyed this one too – be interesting to see if they rebuild it?